CFE Accredited “Understanding HR” training will address workplace compliance, what does it mean and what does it mean for me? It is becoming more and more difficult to understand and navigate the HR landscape, and what it means to be ‘compliant’. With workplace related risks around every corner, understanding your HR obligations has become increasingly important. Without knowledge and understanding of what these obligations are, you could be in breach of workplace law and as a result face heavy fines and penalties. Managing your HR processes as efficiently as possible supports an increase in productivity, employee engagement and freedom to get on with running your business. 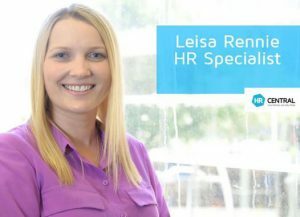 This half a day course, presented by Senior HR Specialist, Leisa Rennie, will provide you with the knowledge and tools to navigate your way around the complex Industrial Relations framework; from the Fair Work Act 2009 (Cth) and Modern Awards through to Equal Employment Opportunity legislation. This course is for those who are wanting to improve/develop their HR systems and understanding to ensure compliance within their workplace. Earn education credits if enrolled in the Certified Franchise Executive (CFE) program. Attendees to claim 80-160 CFE Education Credits after successful completion. Attendees will also receive a Certificate of Completion denoting the amount of CFE credits awarded. This course will run from 9.00am – 12.30pm @ HR Central Head Office, Toorak, Melbourne on Wednesday 15th August, 2018. HR Central are the HR partner of the Franchise Council of Australia and work with many franchise networks to help them successfully implement and manage easy HR processes.